PRI Line/GSM Gateway-There can be any medium to generate call and pass on to the available login agents. Admin Panel-One Application will be hosted on window pc for real-time monitoring, MIS Reports and to access many more features. Links& Credentials will be shared with client end to access all the information related to calling Server-It will be a combination of CTI & Databas. Clients - They will login into application which will be installed into their systems and take calls via Mobile Phones. Agent does not need to call from his phone, neither his/her number will be exposed to clients. 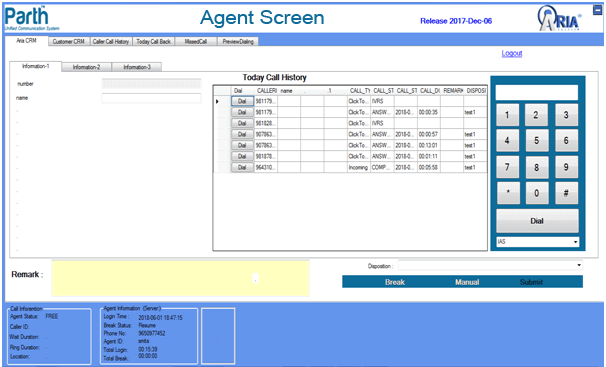 Set call back-Can set alarm for the follow up with customers, once you will set the call back, you will get reminder on your screen on the same time. 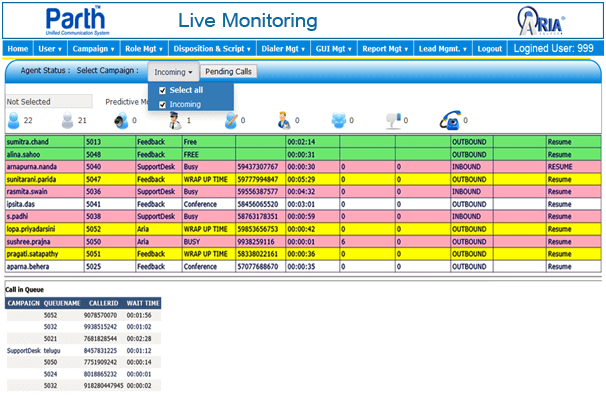 Searching available in all Reports like Date wise, Caller ID Wise etc. All the agents will login into application and receive call on their mobile numbers. In case of preview & click to dial option, 1st Agent number will be dialed & than client number will be connected.